Rotary Club of Pemberton Facebook page. Rotary Club of Whistler website. Rotary Club of Whistler Milennium website and Facebook page. Rotary Club of Squamish website and Facebook page. We began this project in the fall of 2016 and completed the work in the fall of 2017. The Rotary Club of Pemberton approached the Village of Pemberton in the fall of 2016, wanting to assist on the "One Mile Lake Master Plan" upgrades. We committed to undertake two projects: Upgrades to the TEEN DOCK enhancement at the DOG BEACH. The Rotary Club of Pemberton's ANNUAL Flower Basket Program is in progress. Every year we sell approximately 200 beautiful flower baskets to local businesses and residents. All funds raised help us award bursaries to graduating Pemberton Secondary School (PSS) students. Please take a look at the order form below with prices, delivery information etc. Over 30 local businesses and organizations will be showing their stuff at the PemberTON Event hosted by Tourism Pemberton/ Pemberton Chamber of Commerce. The Rotary Club of Pemberton will have Flower Basket Order Forms available. Did you know that there are currently no palliative care beds available in the Sea to Sky Corridor for residents of Mt. Currie, Pemberton, Whistler and Squamish. The Squamish Hospice Society paid a visit to all four Rotary Clubs in the Sea to Sky Corridor to tell us about this current situation and share their dream to create a hospice in our area. Seija generously donated her time for Rotary projects. 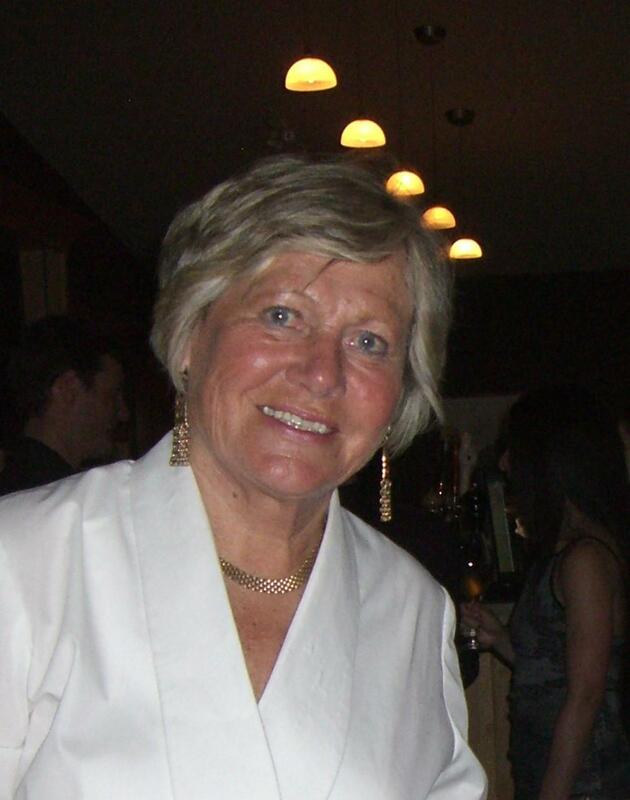 She was always available for anything to do with Rotary in Pemberton and was involved in all of the fundraisers, socials and local projects. She was always full of joy and lifting peoples’ spirits wherever she went. We miss her dearly. We are happy to report that Signal Hill have installed their new washer/dryer that we helped fund. The thank you card and wonderful poem from the students is attached below. Smallpox is the only human disease ever eradicated. Let’s make polio the second. Polio is a paralyzing and potentially fatal disease that still threatens children in some parts of the world. The poliovirus invades the nervous system and can cause total paralysis in a matter of hours. It can strike at any age but mainly affects children under five. Polio is incurable, but completely vaccine-preventable. How close are we to ending Polio? Today, there are only three countries that have never stopped transmission of the wild poliovirus: Afghanistan, Nigeria and Pakistan. These polio cases are the most difficult to prevent, due to factors including geographical isolation, poor public infrastructure, armed conflict and cultural barriers. Until polio is eradicated, all countries remain at risk of outbreaks. Why is Rotary Pemberton involved? Polio is a vaccine-preventable disease. No child has to suffer from Polio. It is entirely vaccine-preventable. Rotary Pemberton is part of the global Rotary initiative to end polio. You can help too. The Rotary Club of Pemberton has been involved with the country of Lesotho, South Africa on various projects since 2009. Check out the pictures in the album "Rotary Club of Pemberton's Involvement with Lesotho" for a snap shot of those projects. Want to be involved, putting service above self for a country in need? Join the Rotary Club of Pemberton! We meet Wednesday mornings at 7:15am at the Pemberton Community Center - coffee provided! Rotary Club of Pemberton donates $600 to Signal Hill Elementary School - other funds received from Pemberton Lion's Club and a private donation. We were happy to contribute! The Rotary Club of Pemberton is Sleeping In!! Starting Wednesday July 13, every second Wednesday the Rotary Club of Pemberton will host our weekly meeting at the Pemberton Legion. In an effort to encourage fellowship, build stronger relationships and become a more visible and personal presence in the community, the Club invites all Pembertonians to come out, meet our new President, Dave Den Duyf, and chat with us over a pint (or other beverage) about local and international Rotary projects! Please see the Events Calendar for the specific dates we will be at the Legion. The 2016 Pemberton and District Chamber of Commerce and the Rotary Club of Pemberton hosted another successful golf tournament. This year teams hit the links at the Meadows at Pemberton, where the course was in amazing condition and the golfers in wonderful spirits! Money raised during this annual fund raiser will be used to finance local projects. 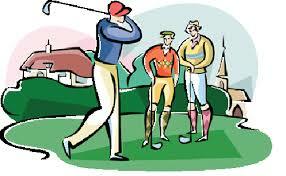 The 11th Annual Rotary Club of Pemberton and Pemberton & District Chamber of Commerce 2016 Golf Tournament will be held at the Meadows at Pemberton on Friday June 24th, 2016. On Wednesday March 23, MLA Jordan Sturdy will be speaking to the BC Liberal Governments Climate Change Leadership Plan. Jordan is a long time Pemberton resident, a Past Mayor of Pemberton and a local farmer. As MLA, Jordan was appointed Parliamentary Secretary for Energy Literacy and the Environment to the Minister of Environment, is a member of the Cabinet Committee for Environment and Land Use, and serves as Chair of the Climate Leadership Team, working with members from non-governmental organizations, academia, industry, communities and First Nations to redefine B.C.’s low-carbon future. Recognizing climate change is one of the greatest threats to the environmental health of the planet, Whistler Blackcomb is committed to one day reducing the environmental footprint of their operations to zero and believes in an “Every Step Counts” philosophy. On March 16, 2016, Art Dejong will be speaking at our morning meeting about Whislter Blackcomb's response to climate change. Exciting Times at Pemberton Secondary School! Krista Brynjolfson, Principal at Pemberton Secondary School, spoke at our morning meeting last Wednesday. Liz Scott, Assistant District Governor for Rotary District 5040, attended our morning meeting on February 17, 2016 and presented us with a District Grant cheque and added another Paul Harris Pin to the lapel of Richard Megeny. 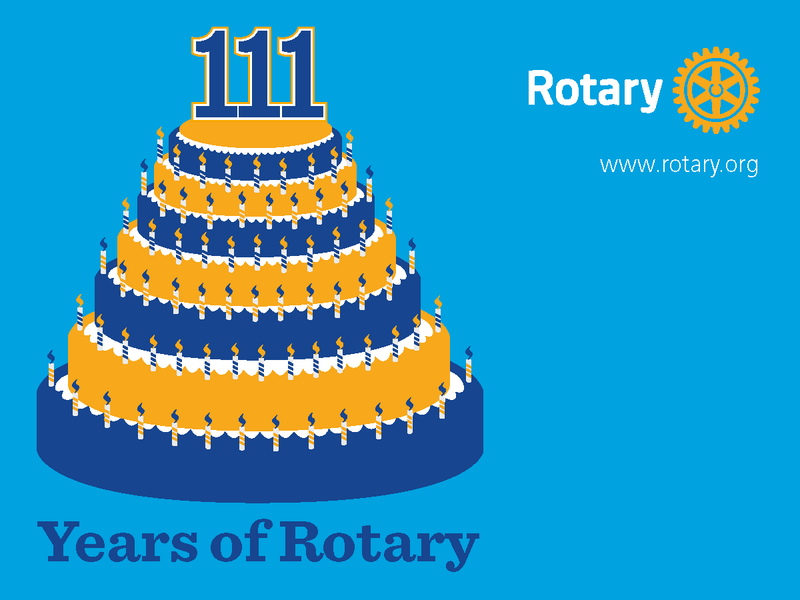 Rotary Turns 115 years old! On Wed., Feb. 24 at 7:45 AM at the PCC in the Rotary Room upstairs, the new Principal of Pemberton Secondary School will be speaking at our regular meeting as part of our Speaker's Series. Family Strengthening Program gets our support! The Rotary Club of Pemberton are proud supporters of the Family Strengthening Program. Our club donated $250 to the program on April 20, 2015. Additional support was offered on May 20th when several club members, Friends of Rotary and Interacters helped prepare the meal for their event. Special thanks to John, Liz, Pat, Ted, Dave, Linda, Janis, James, Sandy, Rolande, Casey Lee, Rene and Sarah. On May 13 and May 14, a few members of our club solicited donations from the generous folks of Pemberton to go towards our contributions to ShelterBox Canada. Our club has already committed to purchase 1 ShelterBox and we wanted to reach out to the community and let them know about this amazing organization and at the same time raise a few more dollars. In a couple of hours each day we raised an additional $600. Thank you Pemberton! Rotary Club of Pemberton will be at the Pemberton Valley Supermarket on Wednesday May 13 and Thursday May 14 between 4pm and 6pm collecting donations for the relief effort in Nepal. The 7.8 magnitude earthquake that struck on April 25 killed more than 8,000 people, injured 18,000 and has left many thousands of families struggling to survive. Rotary has already contributed $1,000 to purchase a complete family survival kit from ShelterBox Canada. The survival kit contains a family tent with thermal liner, blankets and ground sheets, water storage and purification, solar lamps, cooking utensils, tool kit, and children’s activity pack. With the support and assistance of Rotary International, ShelterBox was an early contributor to the relief effort providing approximately 1,000 units to the worst hit areas. Rotary Club of Pemberton member Liz Scroggins said, “This is part of the reason why I joined Rotary – to help out less fortunate people around the world. Especially in times of need like this.” If you are out and about on Wednesday or Thursday please feel free to stop by the Supermarket and talk to your local Rotarians about the relief effort. And if you can, we urge you to contribute your spare change to a good cause. To learn more about ShelterBox visit www.shelterboxcanada.org. The Rotary Club of Pemberton has been beautifying downtown Pemberton for the past several years. Every spring we sell gorgeous sun and/or shade flower baskets to local business and individuals. All of the profit from the sales goes to support two Rotary Scholarships at the Pemberton Secondary School. This year we sold 205 baskets and the town looks amazing. Come on out to Pioneer Park Sunday August 17, 2014 to enjoy a fun-filled, family style BBQ after your ride up the Pemberton Meadows. Present the attached flyer to enter a draw for a Beautiful Bounty Basket full of local produce from Pemberton. Event is from 1-7pm and includes live entertainment, BBQ, refreshments, bike check and kids entertainment. All proceeds from the event go to support local Pemberton projects. Pat and Brenda Montani made a presentation to our club on August 28th. Our club is working with Bicycles for Humanity and aims to ship a container of bikes to Lesotho in spring 2014. The attached presentation gives a great overview of B4H programs.